Can any ski resort match the majesty of the Rocky Mountains? 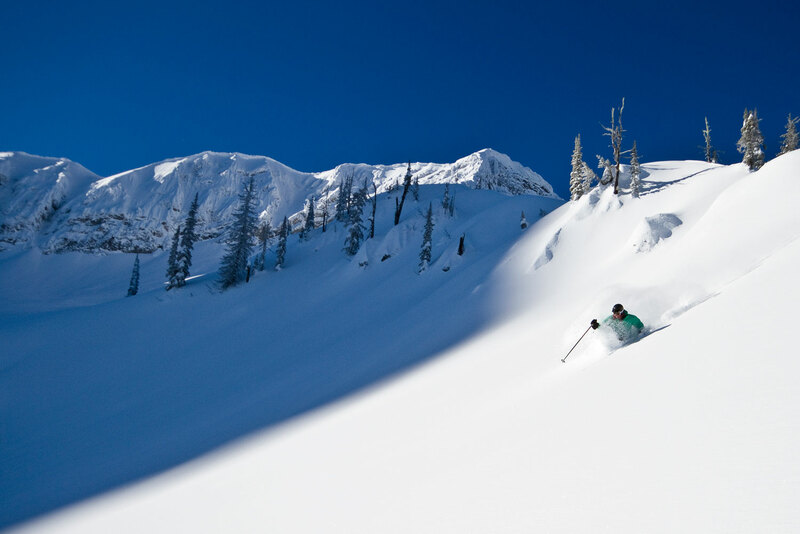 With five alpine bowls – the most of any ski area in North America – more than 10 metres of snowfall each year and a vertical drop of more than a kilometre, Fernie is up to the task. 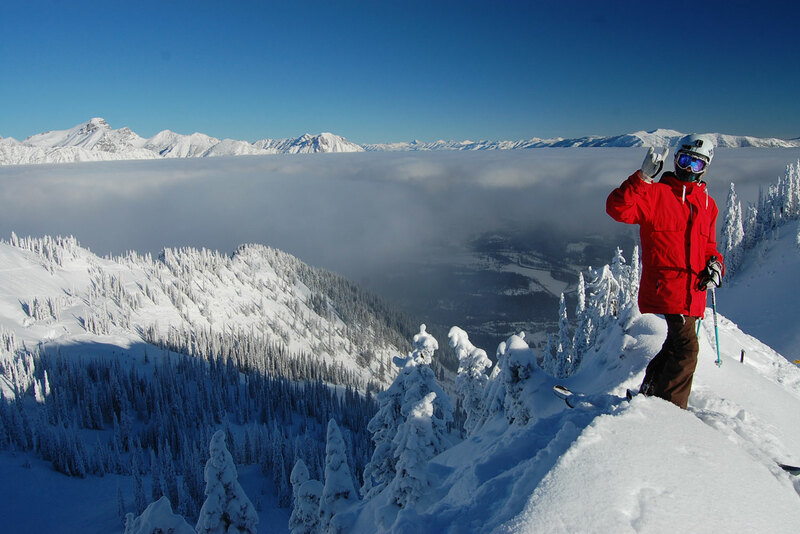 Its 10 square kilometres of terrain is incredibly varied, ranging from powder-filled glades and gentle groomed runs to steep chutes and mogul fields. Then there’s the nearby municipality of Fernie, which is often touted as one of the top ski towns in North America. It has even been called the “coolest town in the world” by none other than Rolling Stone magazine. Majesty and hipness, together at last. Fernie proves that awe-inspiring mountain terrain doesn’t have to be intimidating. It’s far from it, with a full 40 per cent of the trails rated intermediate, and beginner and expert runs splitting the remainder. Fernie’s bowls, it turns out, are so packed with snow that rocks, trees and other obstacles are simply buried. The winter weather is similarly moderate – all the better for generating massive snow dumps – with daily highs typically hovering just below freezing. This keeps the powder soft, yet prevents icy patches from forming. 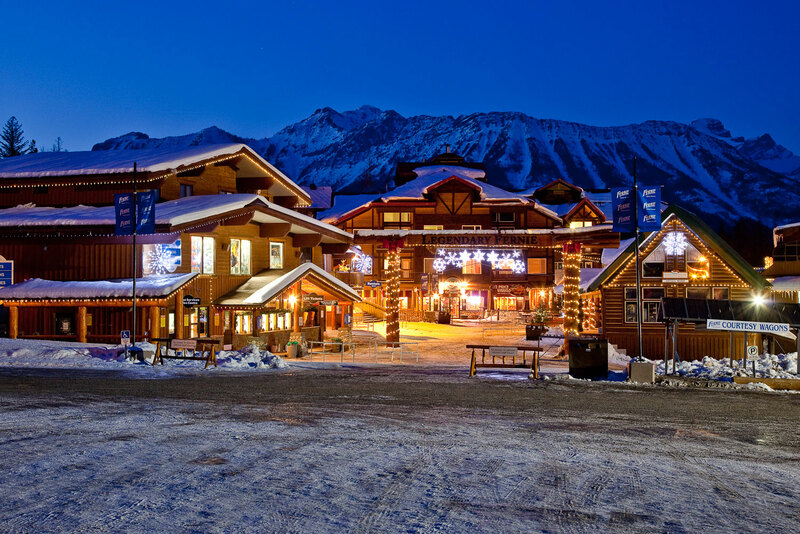 All in all, the more easygoing skiers and boarders will feel right at home here. Fernie’s newest chairlift climbs to the rocky summit of the 2134-metre Polar Peak, providing jaw-dropping panoramas along with access to terrain that was previously out of bounds. To the right of the lift, double-black-diamond doozies such as Mama Bear and Papa Bear spill off the ridge separating Currie Bowl from Lizard Bowl. But fear not, intermediate schussers: the other side of Polar Peak is much less daunting, with two blue trails winding down to the tree line. Steps from five of Fernie’s 10 lifts, the Griz Bar serves what’s the “Mogul Smoker”: divine blend of Appleton’s Estate VX rum, Kahlua, coffee and hot chocolate topped with whipped cream. It’s one of many reasons this boisterous tavern is legendary among skiers; the others including boot-stomping live music, the expansive Kokanee Deck overlooking the slopes, and nacho plates that defy gravity. 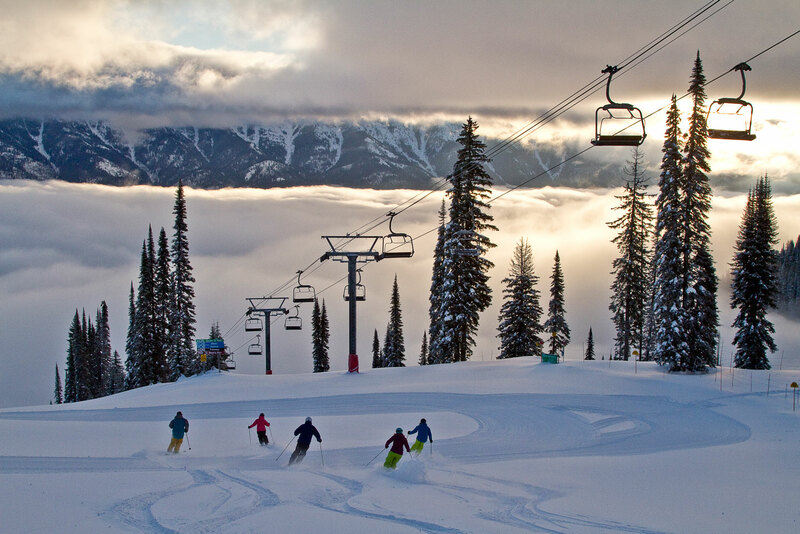 Other British Columbian ski areas call on local volunteers to lead guided tours of their slopes but, at Fernie, the twice-daily excursions are helmed by pros from the Winter Sports School who really know how to handle a resort of Fernie’s size. What or who is this ubiquitous ‘Griz’ visitors hear so much about? Legend has it this hirsute hero is behind the resort’s abundant snowfall. Back in 1879, as any local will tell you, the Griz was born in a grizzly bear’s den. A battle between baby and bear ensued and, long story short, the Griz was later spotted in a bear-skin hat and coat. The Griz grew into a giant with two-metre-wide shoulders, all the better for carrying his giant musket. This weapon, when fired by the Griz into the sky, causes snow to fall… and fall… and fall. When he’s not confounding meteorologists, the Griz shows up at various special events, especially during the annual Griz Days festival over the first weekend in March. 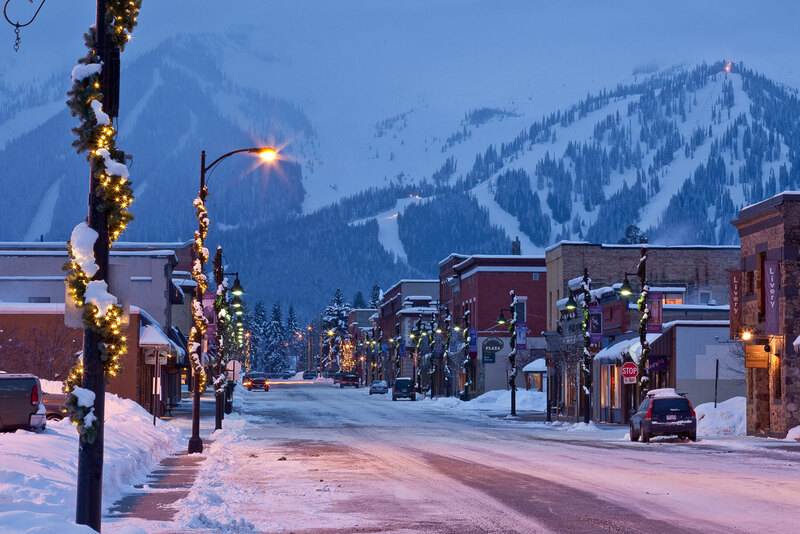 Less than 10 minutes by car from the resort, the town of Fernie is renowned for its late-Victorian brick buildings and glorious mountain setting on the Elk River. All along the main drag of Second Avenue, a range of mountain-inspired restaurants, lounges, boutiques, galleries and chocolatiers provide options you won’t find at home. There are also a disproportionate number of spas and yoga studios on hand – staying relaxed and limber, after all, is essential on the slopes. A few blocks west, the Fernie Curling Club lets visitors try their hands at Canada’s unofficial national sport during all-you-can-curl drop-in nights. Is it possible to out-après the Griz Bar? The new Cirque Restaurant and Bar is giving it a go with its vodka-tasting Ice Bar, where guests don Helly Hansen parkas to sip in ultra-low temperatures. In town, the venerable Brickhouse Bar and Grill serves a mean Bloody Caesar, Canada’s signature clam juice-based cocktail (that’s right, clam juice), while Nevados adds the flavours of Mexico, including some mean margaritas, to Fernie’s hip evening scene. … the Currie Bowl ‘rope drop’. 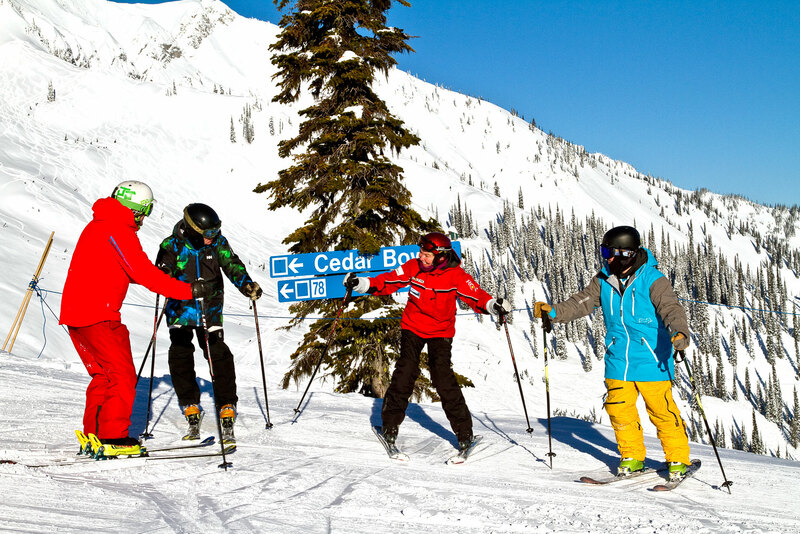 In the likely event of a substantial snowfall, crowds of skiers and snowboarders usually gather at the top of the Currie Bowl in anticipation of the moment when the ski patrol gives the all-clear to enter. It’s a Fernie rite of passage that mixes adrenaline with truly effortless turns. … rarely waiting in line. With Calgary International Airport three hours away by car and Cranbrook’s much smaller air hub at least an hour away, Fernie is almost never crowded. You’ll often feel like you have the resort, and the surrounding mountain splendour, all to yourself. Located within easy walking distance of Second Avenue, this in-town option features a cedar-lined communal hot tub and free wi-fi. 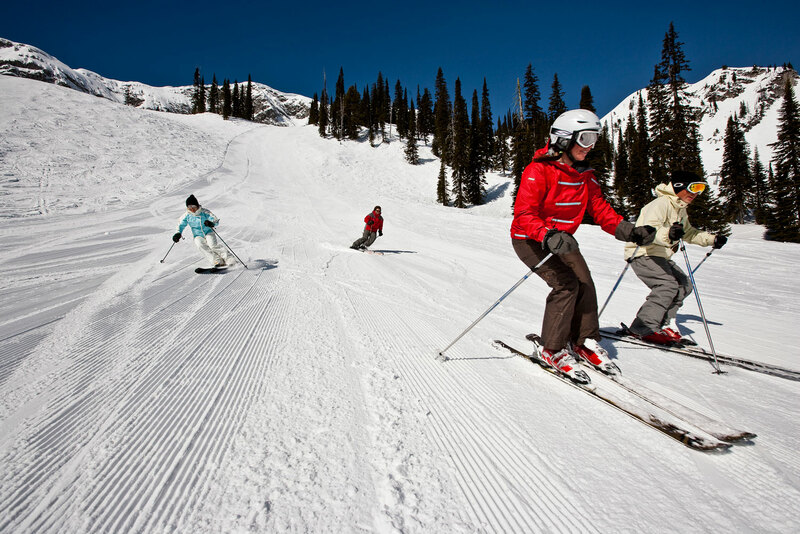 Ski-in/ski-out options ranging from hotel rooms to fully-equipped three-bedroom suites. Amenities include an indoor pool and outdoor hot tub. This six-building condo complex is within walking distance of the lifts and features suites with full kitchens and fireplaces, as well as numerous hot tubs and a heated pool. Minutes from the lifts with ski-in access, these upscale one-bedroom suites feature fully-equipped kitchen, gas fireplaces and private hot tubs.